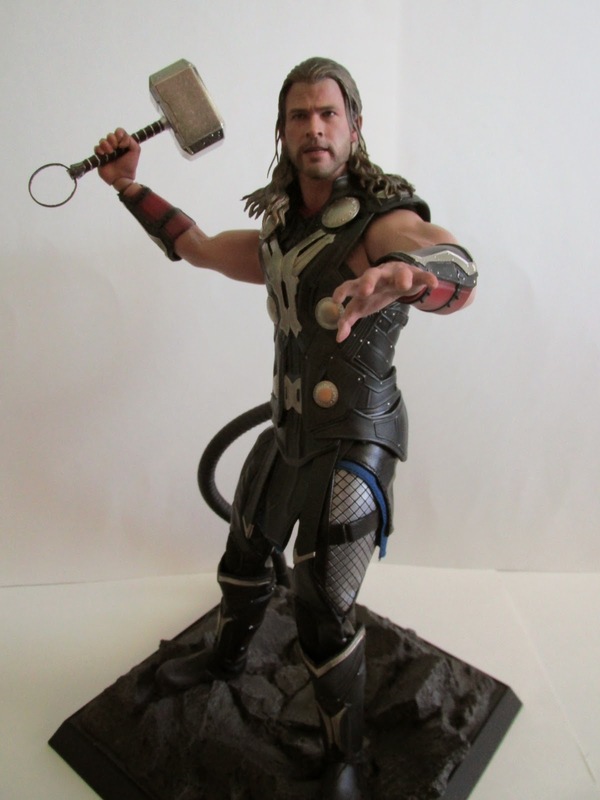 In a surprise turn of events, Hot Toys released a figure three to four months earlier than their projected release. This is great news and hopefully this trend will keep happening. 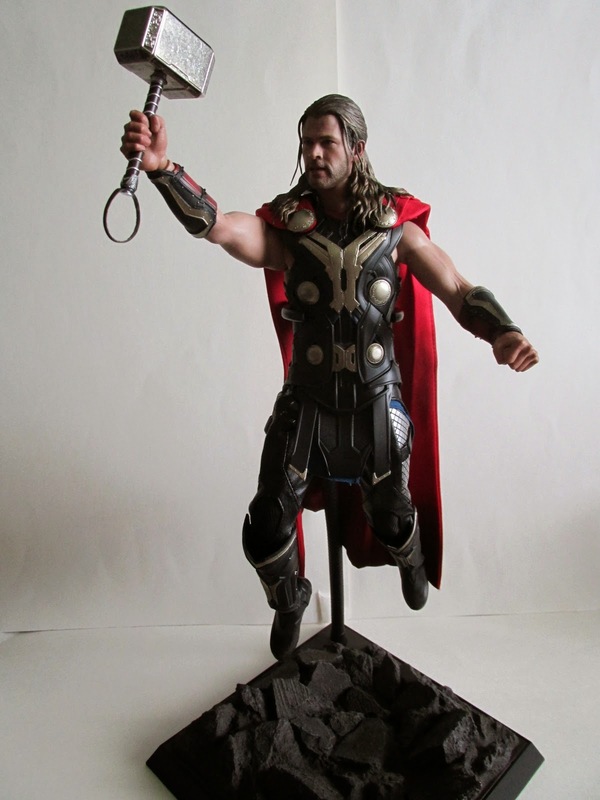 The Asgardian Light Armor Thor is a special edition version of Thor and is considered an exclusive. 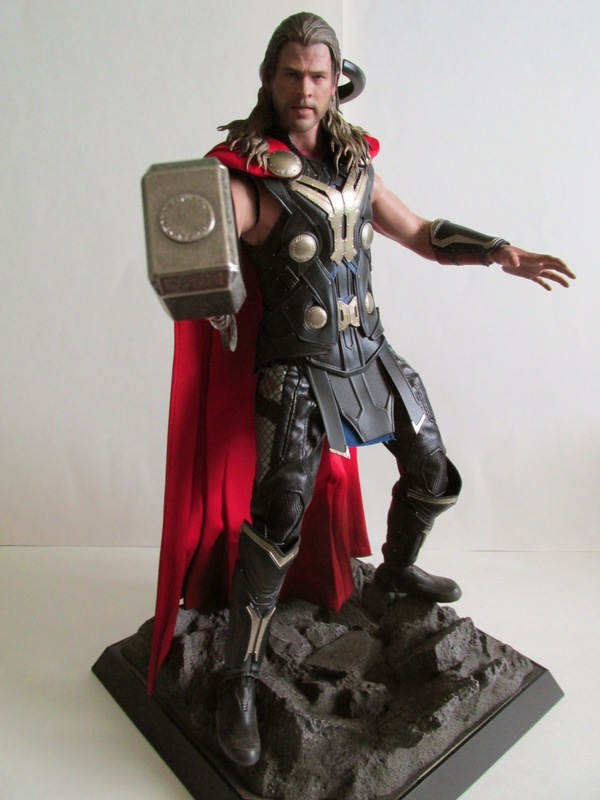 The regular version has armored sleeves for Thor while this the exclusive is sleeveless. There are some other accessories differences between the two, but I’ll just focus on this version. 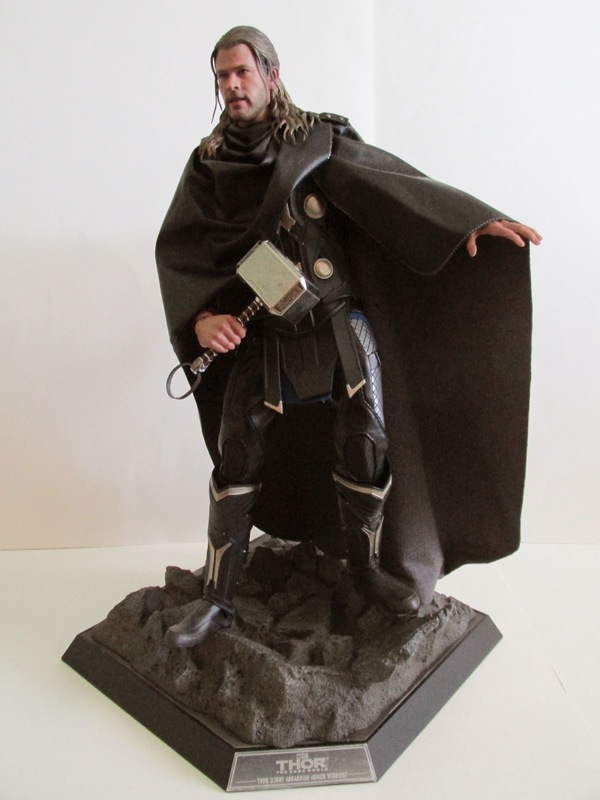 Accessories wise this figure comes with his poncho, the usual set of hands, die cast Mjonir, and a dynamic stand with a dark world terrain base. The dark world terrain base is essentially the same base we got with Evil Superman only repainted to be something from the dark world. It is a cool base and does look great with this figure. Face sculpt wise this is another visual improvement from previous releases. This is a good expression of Thor even if his mouth is open. I guess on a toy he looks good with a slightly open mouth. A great improvement over previous releases is his articulation. This time around they sculpted the arms separate from the actual costume. 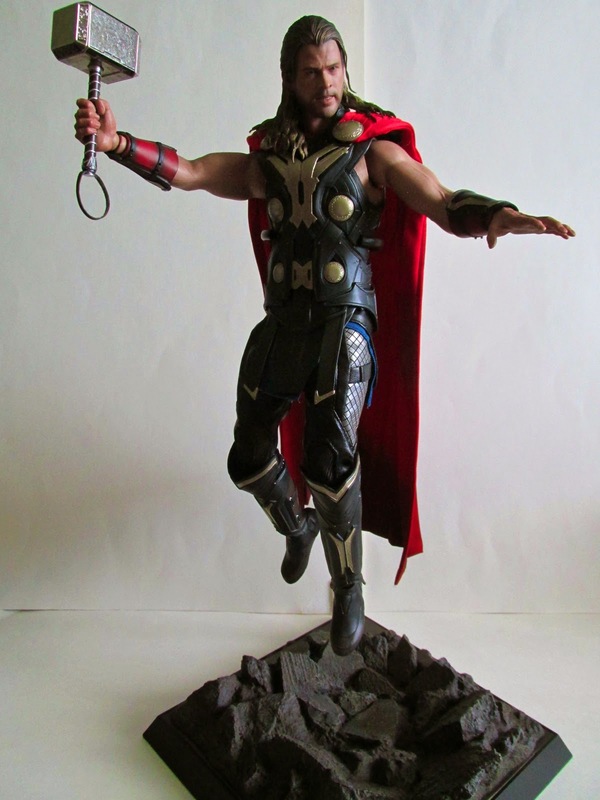 The Avengers Thor figure had him actually wearing his armor under his chest piece but because of this he couldn’t raise his arms at all. This time around they made the arms their own separate piece this way the costume or any other part of the figure wouldn’t impede any movement. With this improvement, the arms are now rubber with a metal skeleton under it, which makes holding Mjonir much easier. Another cool detail is his cape. The bottom of the cape has been worn and is a much darker color than the mid and top sections of the cape, implying the cape has seen some battle. The cape can come off and is necessary to put on the poncho. 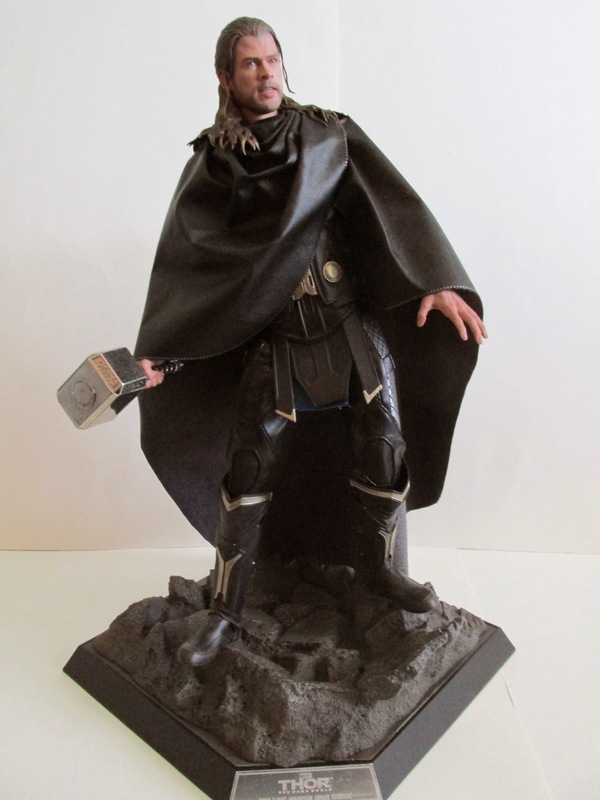 Oddly enough, Hot Toys doesn’t mention that you can just leave the cape off completely and get a new look that is something more akin to his sleeveless look in Avengers. If you want this figure…well then too bad he is pretty much sold out everywhere and wait listing may not even be an option anymore. 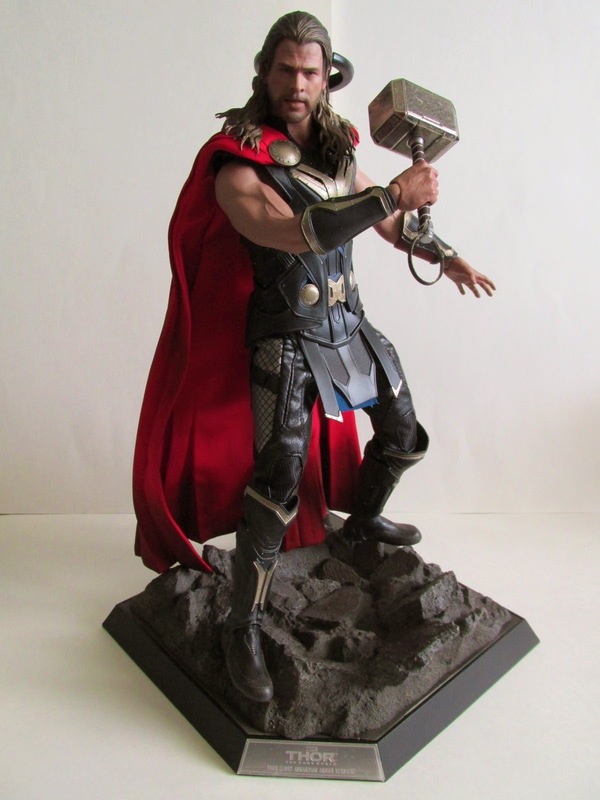 This is a great figure and another win for Hot Toys.